Harrison Ford was airlifted to hospital yesterday (12.06.14) after he was injured while filming the new 'Star Wars' movie. The 71-year-old actor was rushed to John Radcliffe Hospital in Oxford after he was crushed by a hydraulic door at the Pinewood Studios in Buckinghamshire. 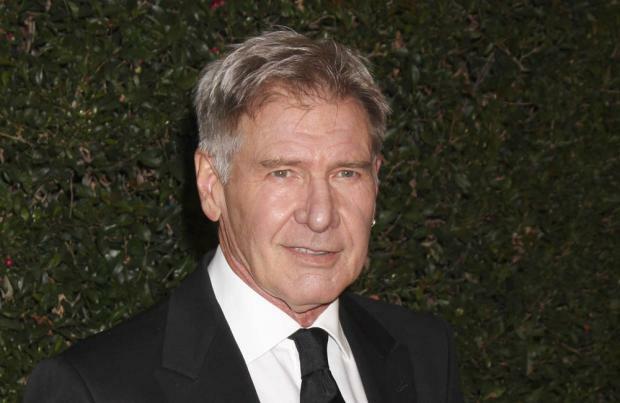 A source told The Sun newspaper: "Harrison was filming a scene and part of the set - a hydraulic door - collapsed. A door ended up crushing part of his leg. "Everyone was very shocked. He was rushed to hospital in an air ambulance because nobody wanted to take any chances. He's one of the movie's biggest stars and nobody could believe something like this happened so early." Disney later released a statement saying: "Harrison Ford sustained an ankle injury during filming today on the set of 'Star Wars: Episode VII'. "He was taken to a local hospital and is receiving care. Shooting will continue as planned while he recuperates." A health and safety investigation has been launched into the cause of the accident and other parts of the set will have to be re-checked before filming can commence.